If a creature who looks like this shows up at your door trick or treating, don't be fooled. It's not me. 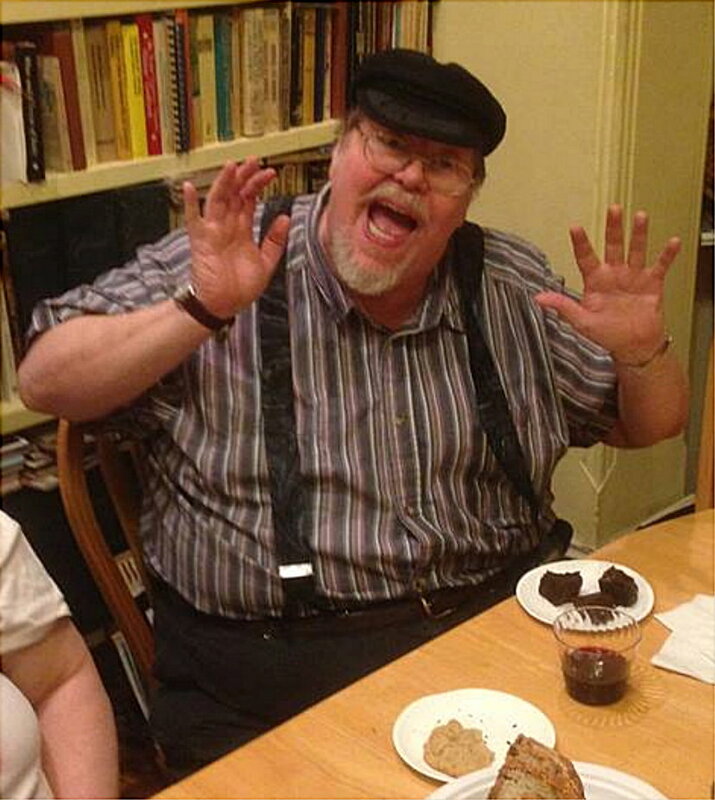 That's my friend and associate and co-editor Gardner Dozois dressed up in his GRRM costume for Halloween. You can give him candy if you want, but not cheese doodles or, god forbid, jellybeans. He puts those up his nose. Actually, though, Gardner looks so good as me that I am thinking of sending him to Australia next month in my place, to make all my public appearances while I stay home and write. (Don't everyone agree at once, please). So if you run into "me" in Brisbane, Sydney, Melbourne, or Adelaide... well, you better take care that it's really me. (If he rips open his shirt to expose his breast, it's Gardner). Ha, great costume. 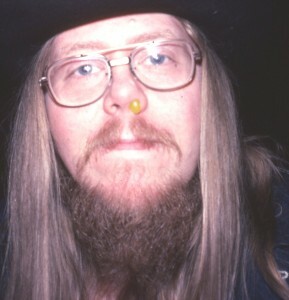 Are you going to return the favor and put a Gardner Dozois costume on for Halloween (with a jellybean in your nose of course)?